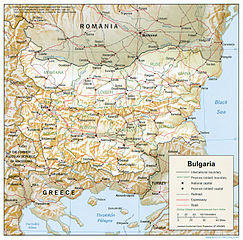 Titanic Cliche of the Day: Bulgaria is like Titanic! Bulgaria is just like Titanic says former prime minister. *8 Feb 2014-link removed due to malware Google notification. Dancing With The Stars Ends, Finally! Season 10 Performance 9: Results: Come on. You know who won. Do we even really have to go through with this charade? Events in Greece and in the Gulf of Mexico likely overshadowed the story of a Titanic victim. Her name was Kate Buckley who was aboard Titanic sailing to a new life in America. She was coming over to work as a domestic with a ticket paid for by her sister Margaret. Originally she was set to sail on Cymeric for Boston but the coal strike changed that. Instead she was transferred to Titanic and perished when it sank in 1912. Her family, opposed to her going, blamed Margaret (her half sister) for her death. It caused a family rift that was never healed. Kate’s body was found by the Mackay-Bennett and brought back for burial, the only third class passenger to have this done. Her sister requested she be buried in Boston; she was buried in St. Joseph’s Cemetery in West Roxbury in an unmarked grave. And there the grave remained unknown to anyone until Bob Bracken of the Titanic Historical Society found it. He was shocked there was no headstone and contacted a local monument company, Thomas Carrigg and Sons, to have one made. The likely reason no headstone was ever put up was lack of money. Carrigg according to news accounts often gets requests to make headstones for relatives buried long ago with no headstone. The recent ceremony had nearly one hundred people in attendance. Two of her grandnieces unveiled the monument and roses were placed on the grave by her descendants. Descendants of Margaret and of the Irish family were present. Also present was Irish Consul General Michael Lonergan, Una Reilly chairwoman of the Belfast Titanic Society, along with Bob Bracken and Charles Haas of Titanic International Society. Ben Goldsmith, a descendent of Titanic survivor Frank Goldsmith Jr., wants to wed his fiancee on the Titanic staircase replica at Center Of Science and Industry (COSI) in Columbus, Ohio. According to Mansfield News Journal, the couple is taking part in an online competition by COSI to select a couple to wed there in September. Five couples are competing for the chance and votes are taking place online until 31 May. “It would be an incredible way to honor my family’s legacy,” said Goldsmith, a 1999 Madison Comprehensive High School graduate. Ben learned of his legacy from his uncle, Tom Goldsmith. Tom, who is an electrician, does presentations at schools on Titanic. It is way to memorialize his family’s loss. Tom got the account directly from his grandfather, Frank Goldsmith Jr. His grandfather never got over what he saw. There are many people who desired to be part of the Titanic experience after the movie. Some tried (and dangerously so) the famous bow scene from the movie. The trend today is the dinner theme by dressing up in period outfits and having a meal based on what was served on Titanic. Getting married on a replica of Titanic’s grand staircase is memorable and even novel. I hope they win the competition. It shows that while Titanic took many lives, those that survived remember the loss and honor their memory. Spoof Alert: Iceland Issues Traffic Citation To Titanic! Stop the presses! Cable news channels issue those news alerts! Iceland has finally caught up with the party responsible for a hit and run back in 1912. On the 100th anniversary of the original voyage, a modern luxury liner christened “Titanic 2,” follows the path of its namesake. But when a tsunami hurls an iceberg into the new ship’s path, the passengers and crew must fight to avoid a similar fate. You can read more details at The Asylum. Titanic 2: Destined to be a low seller at Amazon. Good to learn all have been rescued. One slight quibble is that Titanic did not hit a growler but likely one that had turned turtle (meaning larger underwater than above). Poor Captain Smith. At one time a well respected sea captain and commodore of the White Star Line. Now just an afterthought for commentators searching for ways to include Titanic into their writing. Take the case of Newsweek. It is for sale and the editor, Jon Meacham, is out making the rounds that it was not his fault. Jim Treacher over at Daily Caller notes some of Meacham’s odd comments. Like that for 77 years Newsweek mattered to the country. Quite a statement considering that the country seems to have decided not to buy or subscribe to the magazine these days. Treacher for his part delivers in pointing out that probably no one ever heard of Jon Meacham till now. Ouch! I must admit I never knew who Jon Meacham was until now. Then again I did know Titanic’s captain. Not quite a full cliche but in the ballpark. At least Treacher did not compare Meacham’s handling of Newsweek to that of Captain Smith. SmarTrend back in April reported on five companies in the Leisure industry that were on the bottom regarding Return on Equity (ROE). Investors prefer companies where the ROE is growing rather than stagnant. In SmarTrend’s analysis, Premier Exhibitions lost -23.4% topping the list of the worst returns on ROE. Not a happy day if you have invested in Premier Exhibitions (NASDAQ:PRXI).